Shore Lodge will welcome a new eatery later this month, with the debut of The Cutwater. 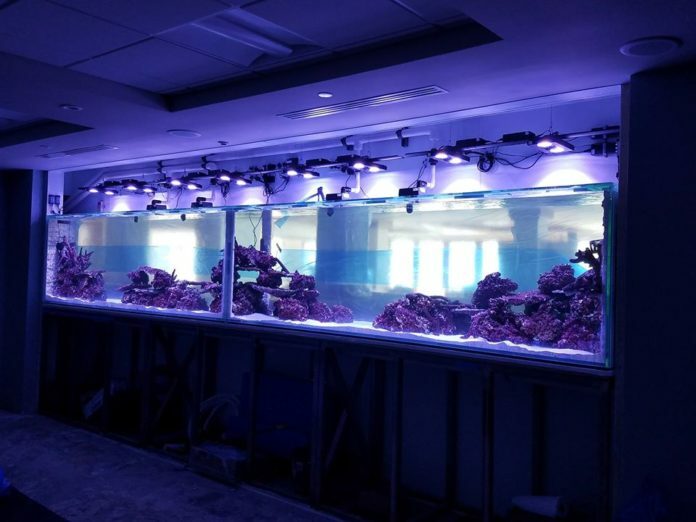 The centerpiece of the new restaurant is a 2,000 gallon saltwater aquarium filled with tropical fish and a living coral reef. Officials say the tank will weigh about eight tons when filled. Crews used a crane to hoist the tank over the Lodge last month. The restaurant will feature American fare with pricepoints for meals under $30. It goes into a newly remodeled space on the lower level. The existing Narrows restaurant remains. Opening night is June 16th. Breakfast, lunch and dinner will be served with indoor and outdoor lakefront seating.